5. Enter your name in the 'Display name' field, and click Next. 7. 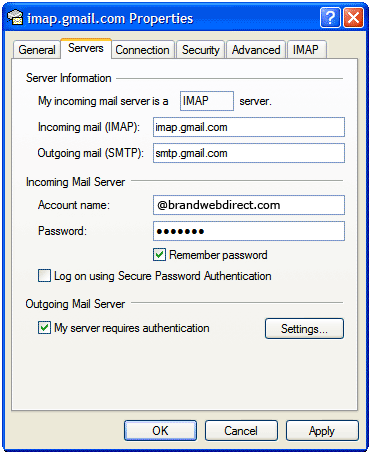 For 'My incoming mail server3 is a ______ server', please select IMAP in the drop-down menu. 8. Enter 'imap.gmail.com' in the 'Incoming mail (POP3, IMAP or HTTP) server' field. Enter 'smtp.gmail.com' in the 'Outgoing mail (SMTP) server' field. 10. Enter your full email address (including '@gmail.com' or '@your_domain.com') in the 'Account name' field. Enter your password in the 'Password' field, and click Next. 12. 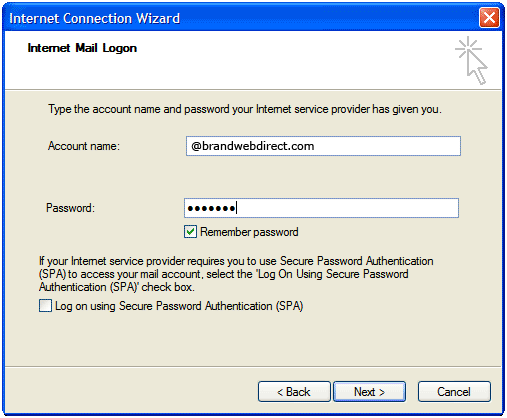 Highlight imap.gmail.com under Account, and click Properties. 15. Enter '465' in the 'Outgoing mail (SMTP)' field. 16. 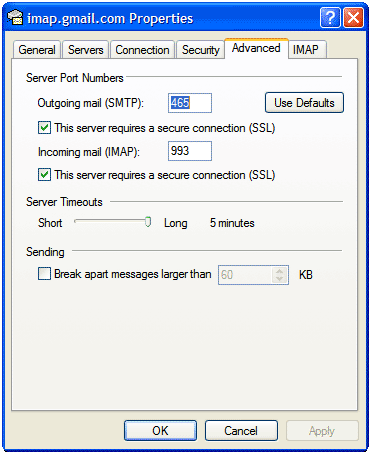 Under Incoming mail (IMAP), check the box next to 'This server requires a secure connection (SSL)'. The port will change to '993'. 19. Check our recommended client settings, and adjust your client's settings as needed.